This episode, well it wasn't the worst of the season by a long shot. 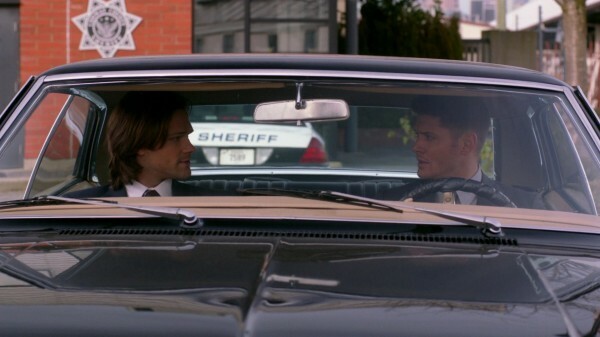 Sam and Dean as characters at least made sense to me, I knew who I was watching, there weren't any moments of no way would Dean do that, or no way would Sam do that. I thought that the story was way too predictable though and easy to figure out, not enough tension, not nearly scary enough (I miss SPN being scary). The villain is the third person associated with hunting they've encountered this year who went completely crazy, (Martin Creaser from Citizen Fang, and Fred Jones from Hunter Heroci). That's got to have something to do with the increased desire for normal that Sam keeps expressing, he knows it's going ot end badly for them if they don't get out. Gratuitous Beautiful Dean picture. 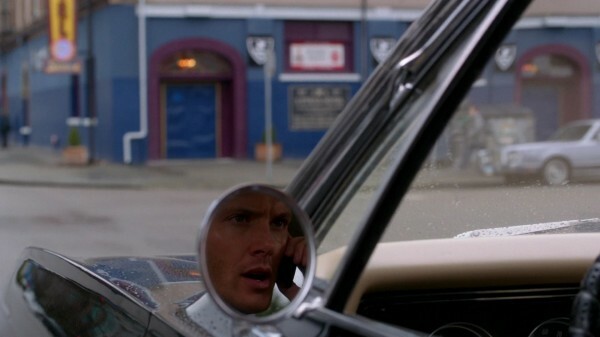 I have a collection of these rear-view mirror shots on my tumblr. Love it when they do that! For the next episode, based on the previews I've seen, I'm tentatively excited about what's going to happen. The second trial, saving an innocent soul from Hell, and Bobby's there just on Crowley's say-so, Dean going to Benny for help to get Sam out (how in the world could Benny help?). hmmmm. could be good. Oh, the amulet...sigh...I'll never not be sad about that! Oh you too huh? Michael was just so memorable, he really stands out to me out of all the kids they've encountered. 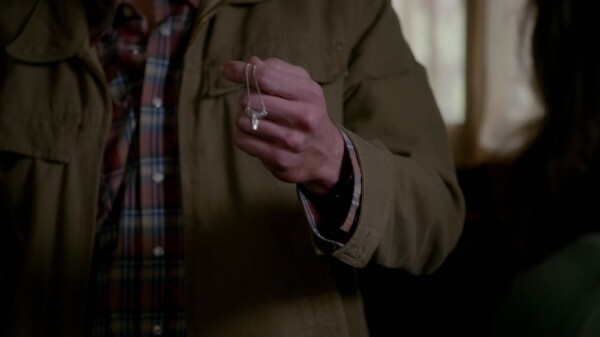 Same on the amulet. sadsadsad forever.